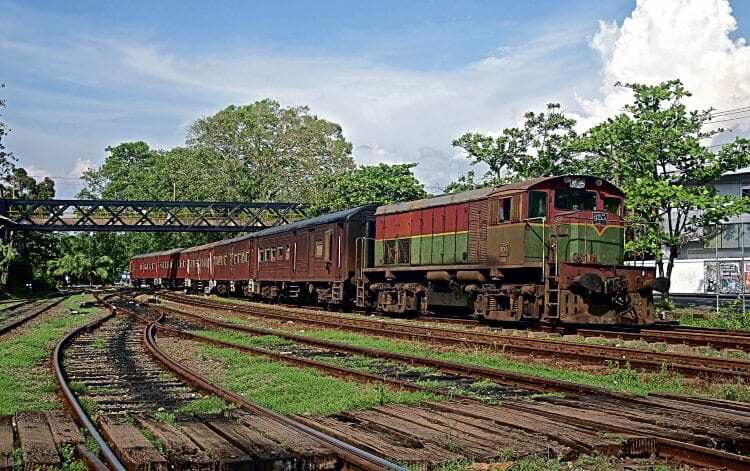 SRI LANKA is planning to invest in new locomotives and rolling stock in the next few years. The entire network is now back in use following damage in the country’s civil war,which ended in 2009. In recent years both diesel locos and DEMUs have been bought from Indian manufacturers, based upon designs used in neighbouring India, with new (Class S12) Chinese-built DMUs introduced in 2012 and used to operate services on the Colombo Fort to Badulla route. The Sri Lankan network is about 1,500km long and all 1,676mm gauge. It is currently operated by a wide variety of diesel locos, built in India, the UK, Germany and Japan, in addition to multiple units used for some regional as well as inter-city services. Read more and view more images in the May issue of The RM – on sale now!